The town of Mijas is a typical “pueblo blanco”, or white village, one of many in the region of Andalusia in southern Spain, but maybe a little more unique than all the others. 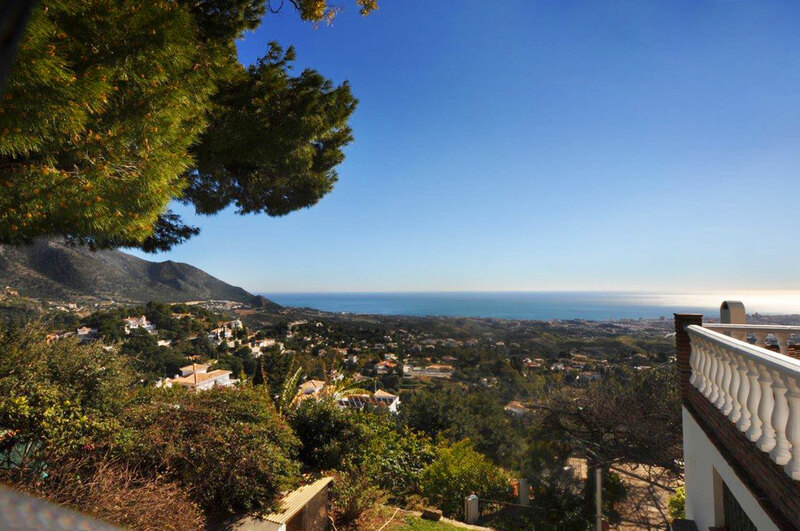 Located just above the coastal resort of Fuengirola and the coastal part of the town, Mijas Costa, it feels like another world. Just a few minutes on the bus from the commercialized coast takes you to traditional Spain with all its beauty, at about 450 metres or 1,476 feet above sea level. Here are just some of the attractions of this lovely place, to give you a feel for what Mijas Pueblo is all about. On arrival, get yourself settled into your choice of the Panoramic Villas in the area, either at the coast or close to the town. Then make your way up the hill for a tour of a lifetime. The pueblo is perched high up on a mountainside, overlooking the sea. 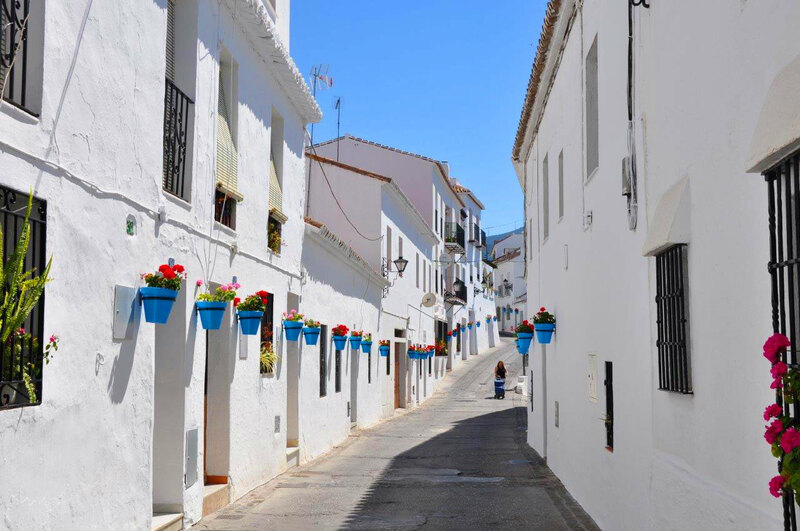 It’s narrow, winding, cobblestone streets lead you past gleaming white-washed buildings with all the traditional feel of this Spanish region, including the iconic colourful geraniums and bougainvillea on the balconies and the chirp and trill of caged song birds as you pass. As you stroll through the town, you will constantly glimpse the blue Mediterranean between the buildings, and if you look up and around you, the hillsides are covered in lush green pine forests, making a scenic backdrop which hugs and surrounds the town. On entering the village, you might spot an ancient spring, which still provides natural mineral water today. Many walkers and travelers are known to fill their water bottle at the spring as they pass. 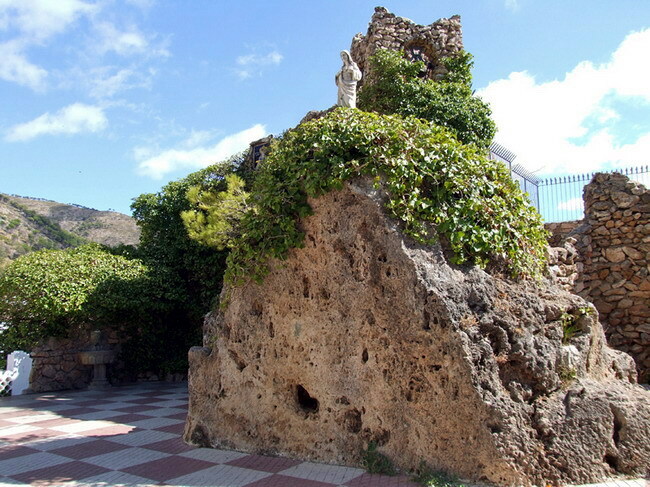 You will also see a fascinating structure on your way into town, the Hermitage of the Virgen de la Peña. This tiny chapel is built into solid rock and dates back to 1520. The Mercedarian monks were responsible for its construction and the inside of the hermitage is decorated with the image of the patron saint that gave this place its name. According to legends, the Virgen de la Peña appeared right on this spot to two shepherds, which is why the chapel was built here and not elsewhere. 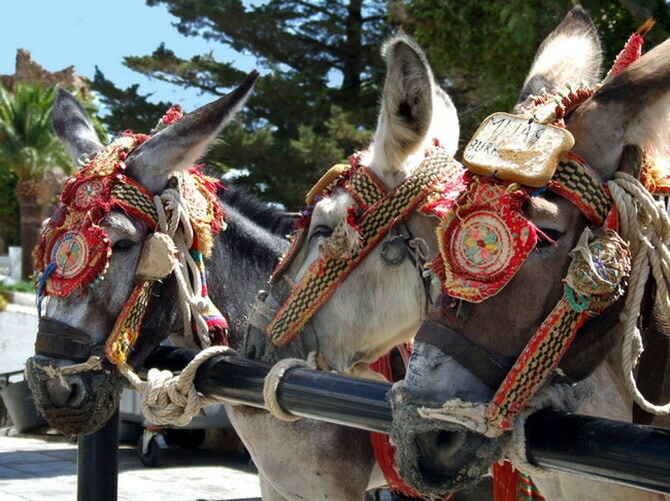 You might choose not to walk the streets of town, as immediately on entering the village you will see the famous donkey-drawn taxis of Mijas, lining the streets with their colourful tackle and small carts. On the same spot, wagons and carriages are drawn by beautiful horses. 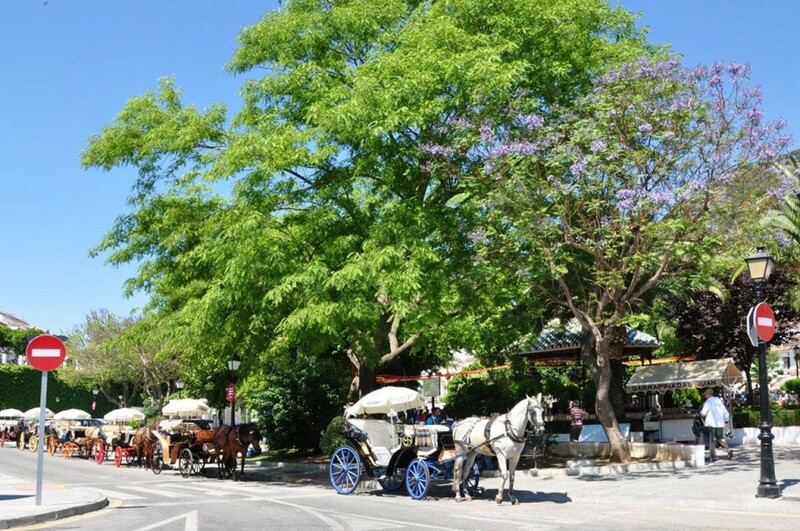 Why not tour the town in style, relaxing as your guide gives you the highlights as you go? Throughout the town there are many bars and restaurants, some with astounding views, to tempt your palate, as well as attractive shops to empty your wallet. The array of souvenirs and gifts to take home is just too tempting. When you have had enough of shopping and feel like a pleasant rest, visit the botanical gardens located next to the old defensive walls of the town. Leafy, shady and pleasant, as you stroll you can read plaques giving details of the plants in the gardens. 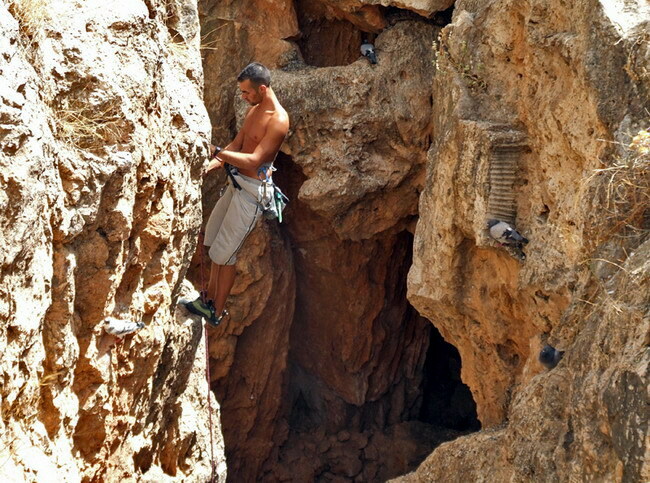 A rock gorge within the gardens offers waterfalls, with fish ponds and plants down the hillside, as well as a fascinating rock climbing location for mountain climbers to practice their skills. 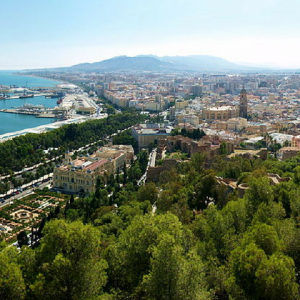 Close to the botanical gardens is the “Plaza de Toros” or bull fighting ring of the town. One of the smallest in Spain, the bullring was built in the traditional manner way back in 1900, and despite its small size, offers bull fights on a regular basis. You can visit the bullring and its museum during the day. 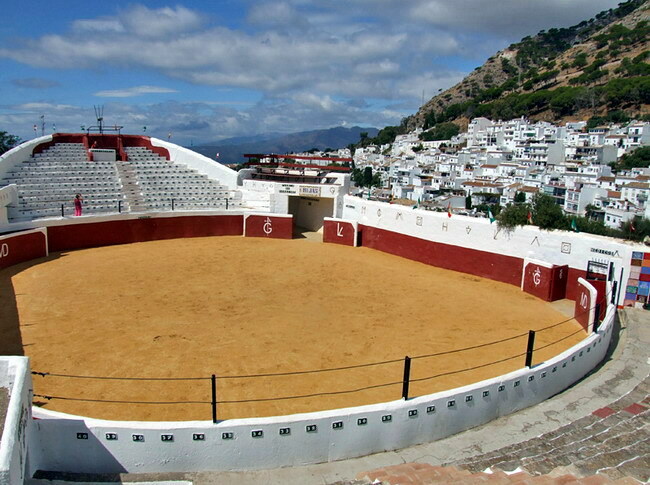 If bull fights are not to your liking, it is worth visiting just for the views surrounding it. Another interesting visit close by is the Carromato de Max, a very special museum. Located just a few metres from the main town square, the museum displays fascinating miniatures. See a picture of Abraham Lincoln painted on a pin head or figures carved from toothpicks. Squint your eyes to see writing on a human hair or look at the Last Supper on a grain of rice. This is definitely something out of the ordinary. 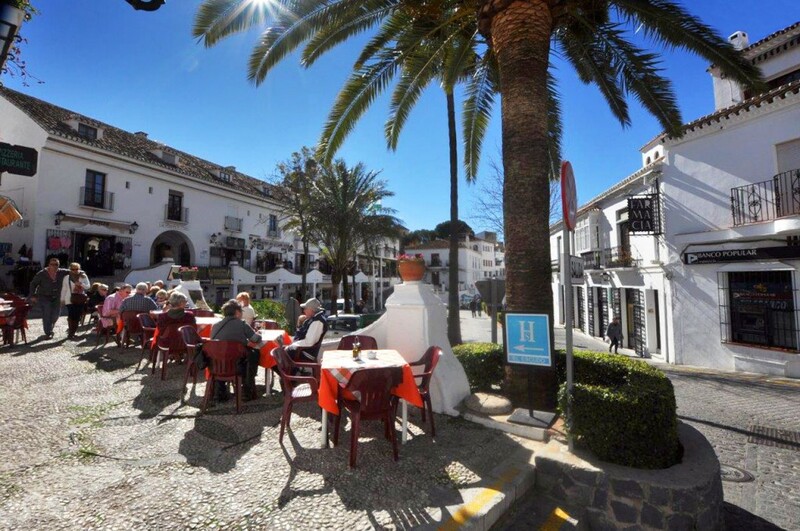 Mijas Pueblo has so much more to offer than can be written in one article. 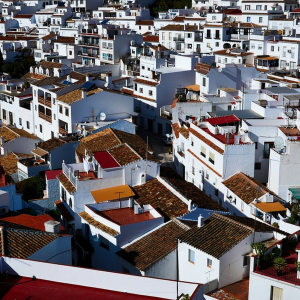 It’s best to say that this is one of the most photogenic towns in southern Spain with many a Kodak moment in the making. Make sure you have your camera always at the ready and some comfortable walking shoes on your feet, because you will want to see it all. This entry was posted in Costa del Sol, Mijas, Spain and tagged Entertainment & Culture on July 9, 2014 by Robert Skupski.